This is a lovely Tree of Life pendant necklace. The pendant I purchased to use as an accent piece on a necklace I handcrafted from faceted crystal glass beads. The necklace I made using 7mm sparkling faceted crystal rondelles in a lovely two toned color of crystal and gray. They sparkle like crazy and accentuate the pendant beautifully! The necklace was made using silver copper wire, silver chain, and a simple toggle clasp. The necklace is about 22" long. 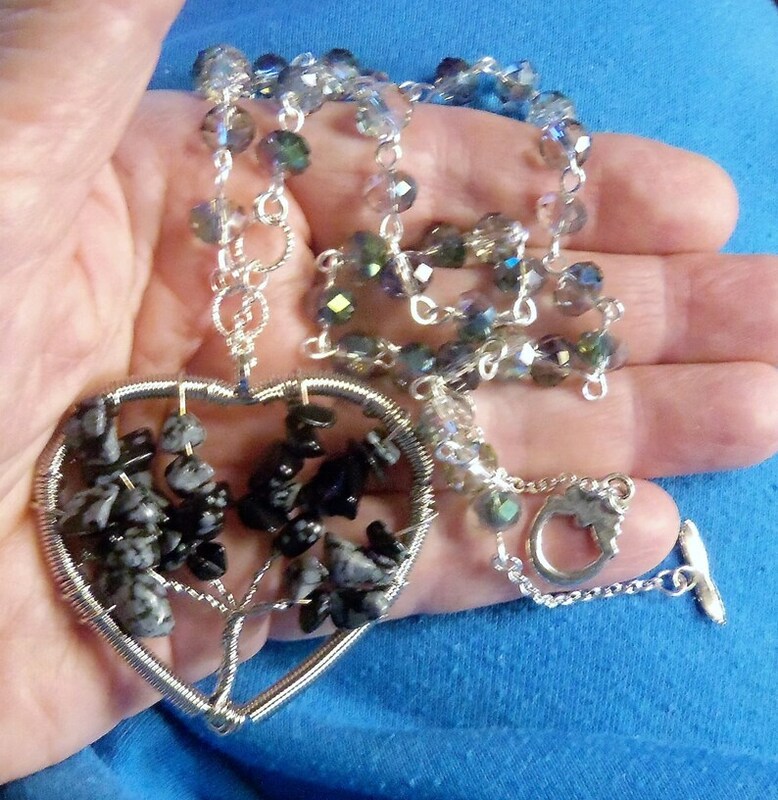 The heart shaped Tree of life pendant has grey and black nugget stones and is 2" across and about 1 5/8" long. I think this is a lovely pendant necklace for those who love the large pendants.